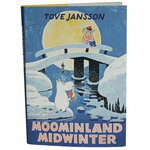 Moominland Midwinter by Tove Jansson was released originally in Swedish in 1957. The book leads the reader on a journey to the snow-covered Moominvalley. This Special Collectors’ Edition by Sort Of Books has been restored to its original design. The Moomins, in case you didn’t know, are kind, philosophical creatures with velvety fur and smooth round snouts, who live in a tall blue house in a beautiful woodland valley, beside the sea. They love the sunshine and sleep all through the winter months, waking up when spring arrives. Except one year when Moomintroll accidentally awakes and finds himself stranded and alone in a mysterious world blanketed with snow. 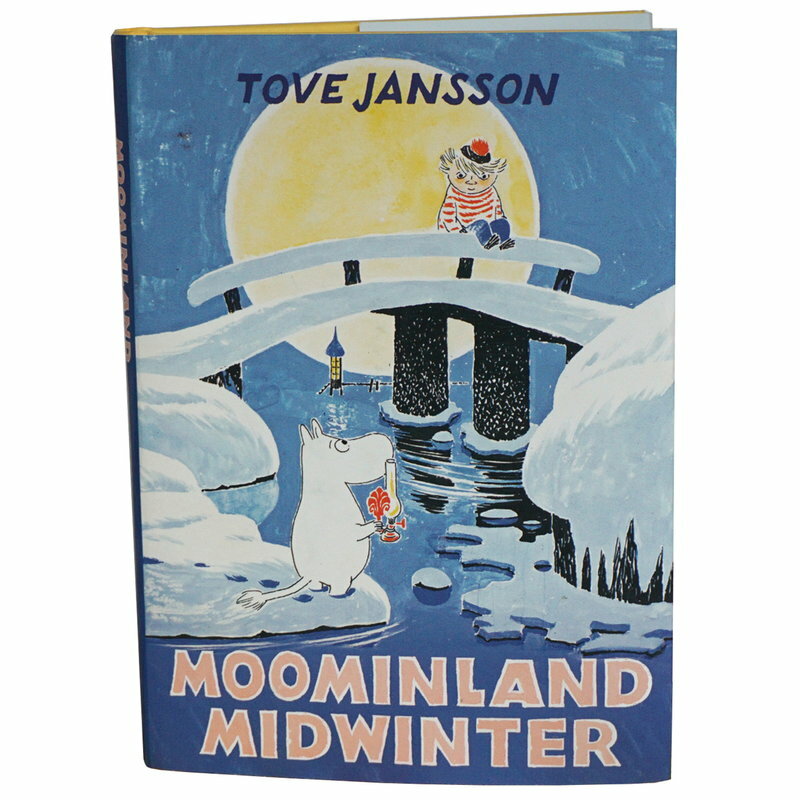 In Moominland Midwinter we follow Moomin as he overcomes his amazement and isolation and, with the help of the wise Too-ticky and the fearless Little My, begins to explore the glittering new landscape.